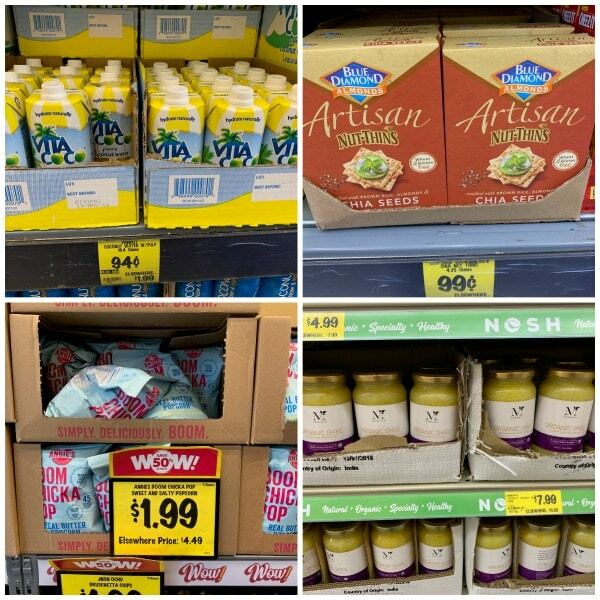 Home » Gluten Free Product Reviews » Amazing Gluten Free Deals at Grocery Outlet! 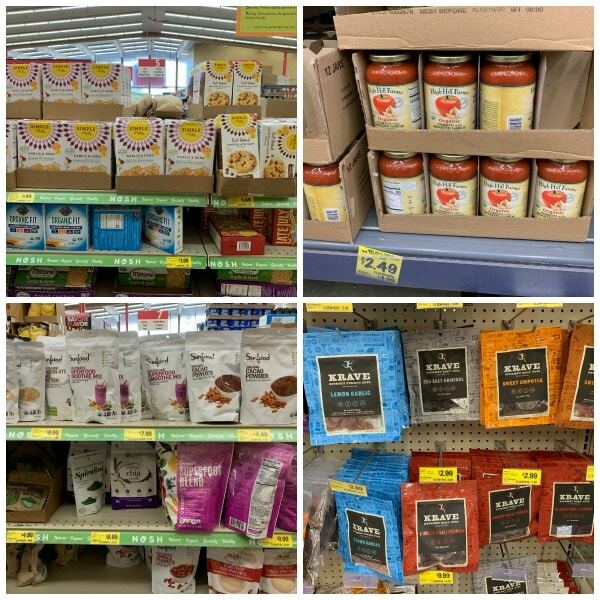 If you need a gluten-free diet, you know how expensive safe, gluten-free groceries can be. 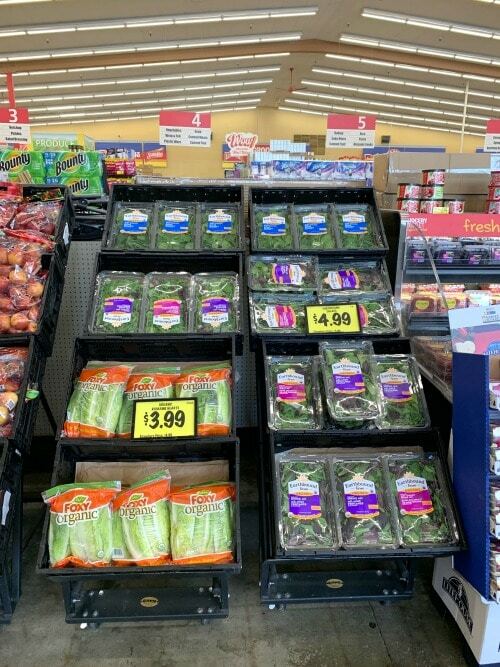 I am so excited to tell you that you can find fresh produce and lots of naturally gluten-free foods at a fraction of the cost at your local Grocery Outlet!! 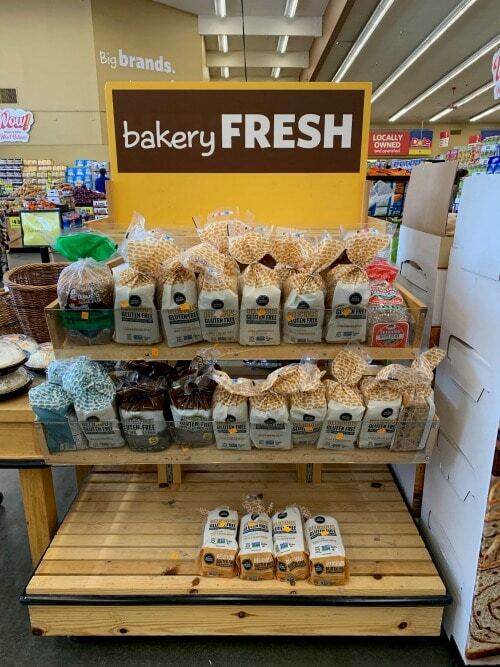 Whether you are looking for gluten free ingredients to make family meals, gluten-free snacks, organics, or a good wine, Grocery Outlet is the place to go! It is time to run, not walk to your local Grocery Outlet Stores. The company is working on a huge refresh and the stores have never looked better! Each store manager orders the products from a central warehouse for their store. I love that the store manager at our local Grocery Outlet orders a lot of gluten-free foods. I even thanked him recently for carrying my kids’ favorite gluten-free pizza, Oggi. I am pretty sure he is ordering extra for us because I tend to buy A LOT of them and store them in our garage freezer. I save so much money getting these pizzas at Grocery Outlet! 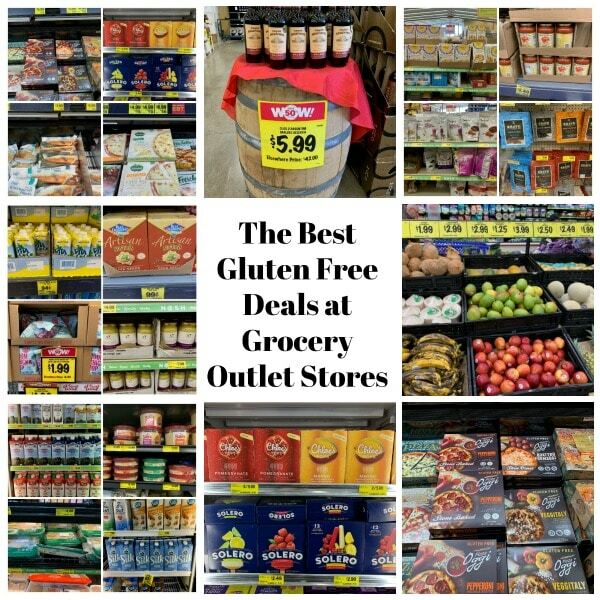 Here is the guide to give you a visual tour of all of the gluten-free products, and show you all of the best price deals. When you walk into Grocery Outlet, you will see some special deals from the moment you walk in. The biggest standout for me, a self-proclaimed organic freak, is a big stand full of organic lettuce. I was blown away that the large containers of Earthbound Farm’s Organic Lettuce were only $4.99. This a huge deal when you need to feed a crowd! 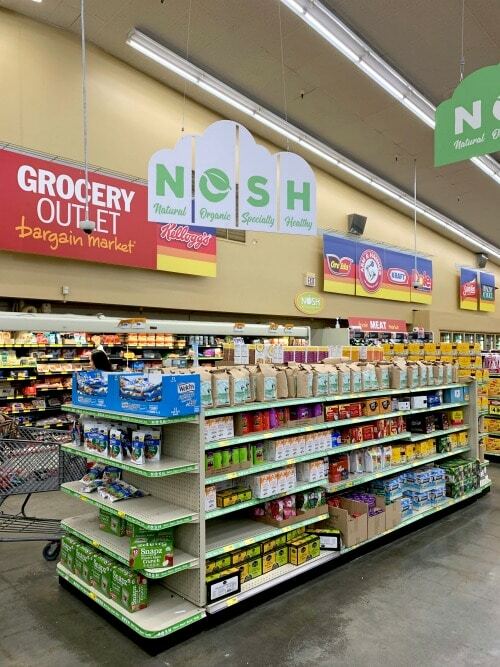 As you move towards the back of the store, you will find one of my favorite sections, NOSH. It is filled with healthy organic snacks, ingredients, and so much more! You can also find gluten-free jerky by Krave, paleo crackers and cookies by Simple Mills, and lots of healthy products by Sunfood. See the price on that Krave Jerky? It is only $2.99 at Grocery Outlet. Compare that to any other store’s price of $7.99 for the same sized package. Simple Mills Gluten-Free Chocolate Chip Cookies are just $1.49 a box (most stores retail it for $4.99 a box). The frozen section is also full of gluten-free deals. There are several gluten-free frozen pizzas, which my kids love, ice cream and popsicle deals, even wild frozen seafood! 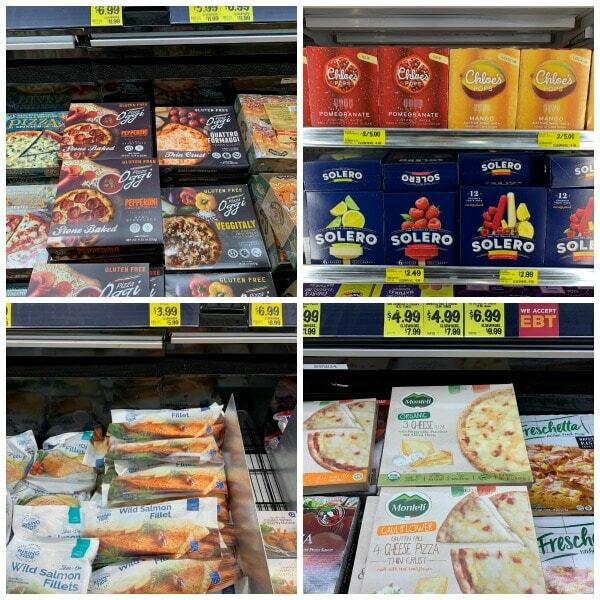 (If your store can get the Oggi frozen gluten-free pizzas, it is the BEST gluten-free pizza ever! Keep walking down the aisles and you will continue to find great deals. Artisan NutThins Crackers are only .99 per box. Compare at $4.99 a box elsewhere! You will find the best brand names at Grocery Outlet! Did I mention that Grocery Outlet also has a great meat department? 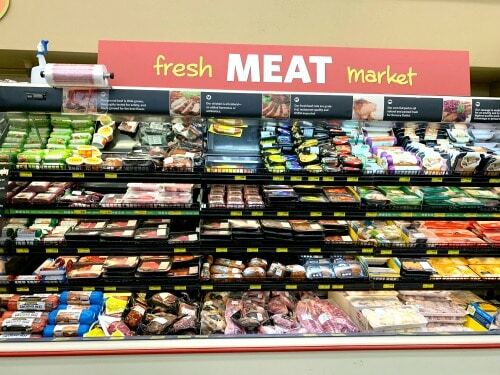 You can find brand name meats (including organic options) at fabulously low prices. 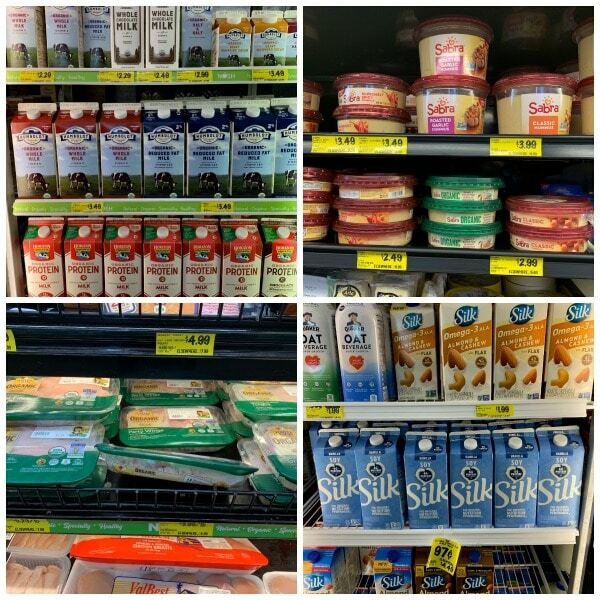 From the meat department, you move into the dairy department and find even more gluten-free deals. Organic Sabra Hummus is only $2.49 a container. At any other store, it will cost you $4.99. Silk non-dairy milk is a bargain at just .97! Shopping at Grocery Outlet is pure BargainBliss. I was so surprised to find one of our favorite gluten-free bread brands at Grocery Outlet, right in the front of the store!! A total bargain at only $3.99 a loaf!! I bought a few and put them into my freezer. If you love wine, one of the best departments in the store is their wine department. They buy closeouts of popular wines and offer the savings to you. I can’t wait to try this Malbec Reserva tonight! The wine department manager explained how they can offer so many great wine deals to their customers. Many wineries don’t bottle all of the wine they produce, and they will bottle the extra wine under a different label. (Grocery Outlet buys these wines). Sometimes a wine connoisseur will hear of a winery doing this, find out the label they are using and will go to Grocery Outlet and buy cases of that wine :-). 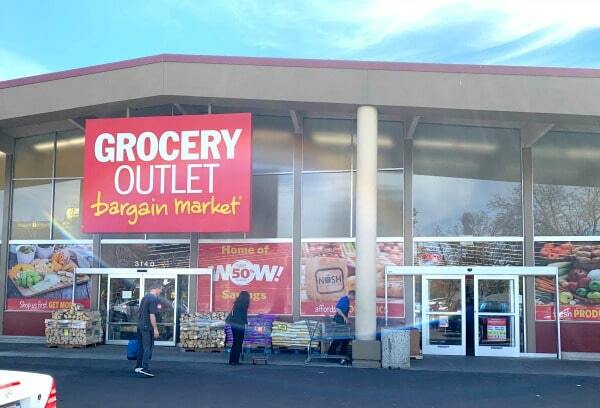 And if you need any help locating those bargains at the Grocery Outlet nearest you, CLICK HERE! Share your own #BargainBliss on Instagram for a chance to win prizes via their sweepstakes! Here are the details. What is this magic???? We don’t have it in Arizona, but we do have stores like Smart & Final. Sometimes you can get AMAZING deals in these types of stores – although I have to admit, yours looks better than my discount stores! What a wonderful resource to have! Gluten free products can be so costly! I can’t wait to check out Grocery Outlet! 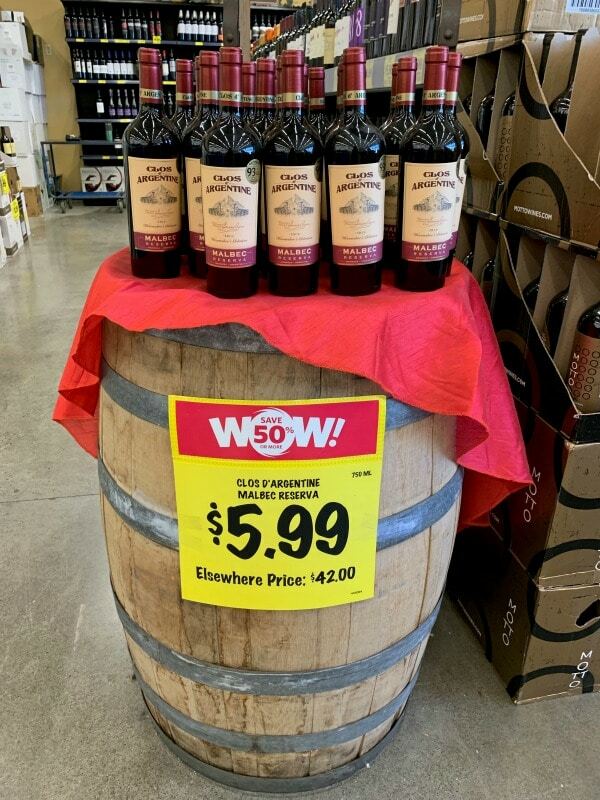 I have never seen or heard of a grocery outlet but the price on that wine is amazing. I’m going to look into where the closest grocery outlet is to me. Thanks for sharing! 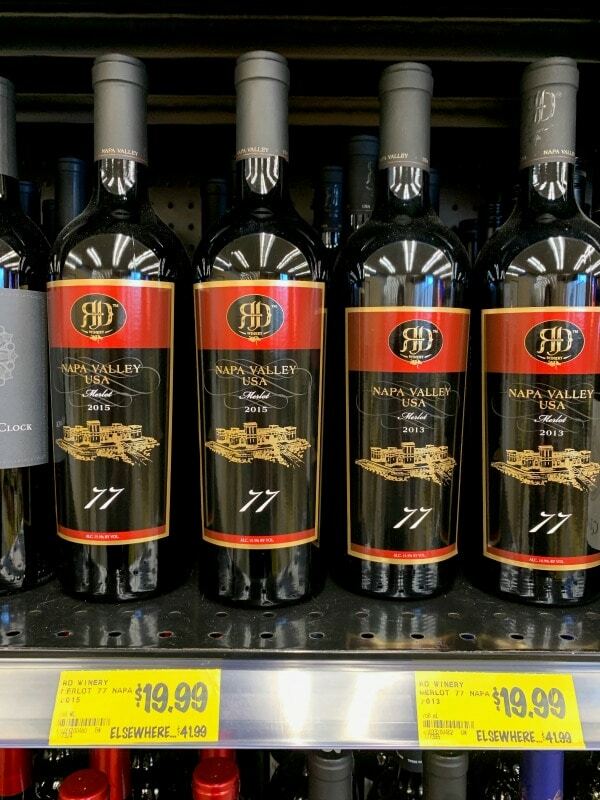 Grocery Outlet is the best place for wine deals! Ah yes, Gluten-free shopping, something I’m so familiar with! We are so lucky these days with the options that are available to us. The landscape was so different even just 5 years ago! Agreed. I remember when we couldn’t even buy a loaf of gluten free bread in the stores. Thanks for sharing this! I have a friend coming for a vacation that is on a Gluten free diet and this will really help me save some money.I love when I am able to pinch a few pennies and still come out on top. I am so glad to help Heidy!! Sandi, when am I going to get a Grocery Outlet here in Florida? You’re killing me over here! I want the deals! That is a great question Lisa. Perhaps you can reach out to the company? The stores are individually owned so technically there could be a store there.